With an ultra-fast f/2.8 maximum aperture, Nikon’s superior Vibration Reduction (VR II) image stabilization system, a host of performance enhancing innovations and legendary NIKKOR optics, the AF-S NIKKOR 400mm f/2.8G ED VR is the 400mm super-telephoto prime lens of choice for professionals and serious photographers. Its light and durable magnesium die-cast barrel and professional-grade dust- and moisture-resistant construction delivers a lifetime of reliability, and its exceptional performance makes it an optical masterpiece. With 400mm of reach, an ultra-fast f/2.8 maximum aperture and superb image quality, you won’t just get closer to the action—you’ll get inside it. Whether shooting high-speed outdoor sports action or dimly lit stage productions, you’ll capture moments most people miss, and in stunning clarity. 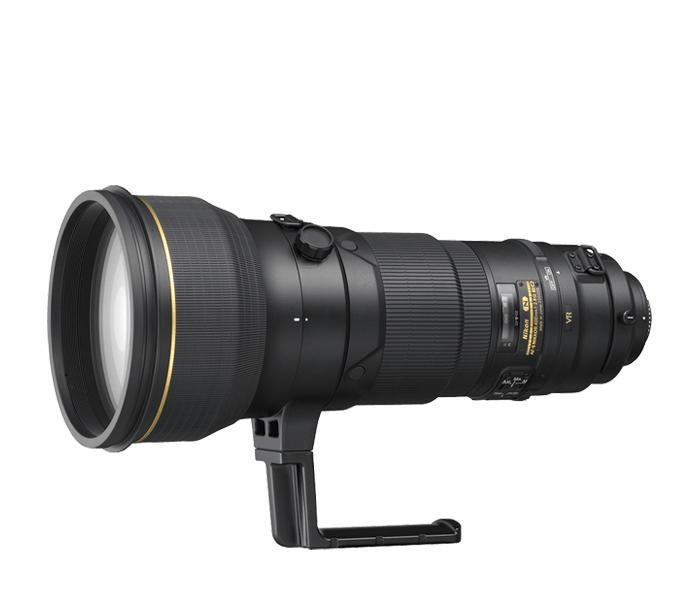 If you need more reach than 400mm, the AF-S NIKKOR 400mm f/2.8G ED VR is fully compatible with all Nikon Teleconverters. The durable and lightweight AF-S NIKKOR 400mm f/2.8G ED VR is loaded with performance-enhancing features to ensure you’ll always deliver exceptional images. Nikon VR (Vibration Reduction) image stabilization provides 3.0 stops* of blur free handheld shooting, assuring dramatically sharper still images and HD video capture. Silent Wave Motor (SWM) provides ultra-fast, ultra-quiet autofocusing. Nano Crystal Coat (N) and Extra-low Dispersion (ED) glass help produce images with superior color, sharpness, contrast and minimal noise. Its no surprise so many winning images have been produced with this lens.